Our Replacement Windows Can Help. Our replacement windows have an industry-leading energy performance rating. Want to know how much energy you’re losing and what your options are? Our experts will inspect your windows and let you know. Our windows and patio doors not only have industry-leading energy performance rating, but also a lifetime warranty. We provide quality installation and have financing options. Get a free estimate from our pros so you can stop those windows from wreaking havoc on your energy bills. Texas Home Improvement adds Anlin Windows Systems to its energy saving replacement windows roster. 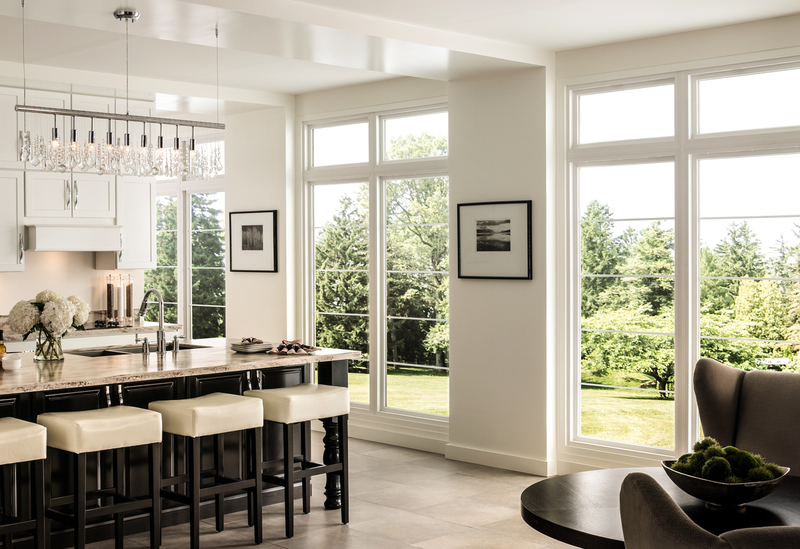 Anlin’s Del Mar luxury series vinyl energy efficient windows are designed for homeowners who demand the best from manufacturing to installation. From energy savings, to good looks, to security, to durability, Del Mar windows offer it all. Every bit of space inside Del Mar window frames and sashes has been optimized for energy efficiency and strength. 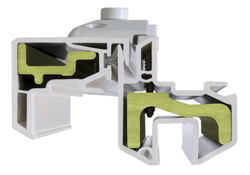 Innergy® Rigid Thermal Reinforcements are ultra-strong fiberglass thermal inserts that provide superior thermal insulation and strength inside key components of the sash. 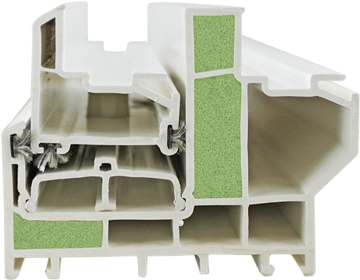 And Comfort•Core™ green foam fills strategic chambers in the window frames to deliver the ultimate in energy efficiency. That means you’ll use less energy and spend less to heat and cool your home. Del Mar energy saving replacement windows are available in two proprietary high performance glass systems that exceed Energy Star requirements and help you save on energy costs year-round. The Infinit-e Plus insulated glass system in Del Mar windows is filled with Argon gas, which is six times more dense than air, and therefore provides a superior thermal barrier. It has a triple-layer silver metal coating to keep heat outside in summer and inside in winter. Plus it has a technologically advanced spacer separating the two panes of glass, and a special coating on the outside of the glass to make it easy to clean and stay clean. The QuadraTherm insulated glass system is Anlin’s newest technology, equipped with a multi-layer solar reflective coating that provides the ultimate defense against solar heat gain on hot, sunny days, Argon gas that provides a superior thermal barrier and a multi-layer heat retention coating that helps keep warmth from escaping your home on cold days and nights. QuadraTherm is so efficient it outperforms some triple-panes, but without the disadvantages of triple-panes. Call Texas Home Improvement for all of your energy saving windows needs or other home improvement projects.